Entries for the popular Crowe Horwath Corporate Pursuit are filling fast as the close off date looms for potential businesses to enter this unique event. With entries closing on Wednesday 7 May over half the capacity field for the annual Cycling Southland event have filled. With the unique event entering its ninth year, a number of familiar local businesses once again have signed on for the ride. The likes of AWS Legal is one such team who has been competitive in the event since its inception in 2006. The current entries reflect a diverse range of business sectors being represented with IFS Growth, Radcliffe Electrical, Ricoh Southland, Mitre 10 MEGA, Waihopai Health Services and HW Richardson Group registering for the world’s largest corporate track cycling event of its kind. For a number of previous and new inductees to the event, early training sessions have become part of the natural working week. Cycling Southland has noted a marked increase in private bookings and public sessions on the SIT Zero Fees Velodrome as competitors try to establish some base line fitness levels before official training sessions begin. To assist with this, organisers are offering a session for ‘newbies’ on the Thursday 15 May to assist with their introduction to the world of bikes with no brakes and 43 degree banking. This year’s event will again see the inclusion of the Lonestar Speights Roller Racing in which teams will have an opportunity to turn over the pedals on the fixed bike setup. This popular addition to training last year saw some outstanding times set for the 500m distance. 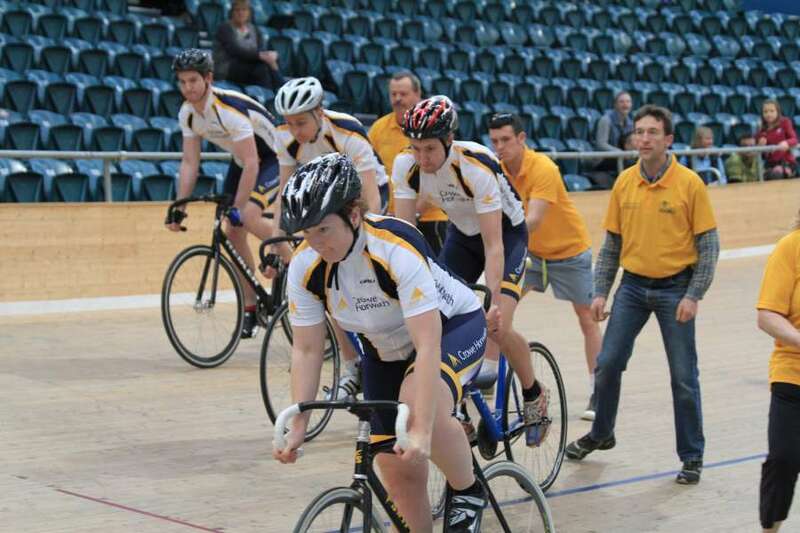 The Crowe Horwath Corporate Pursuit will have teams up against the clock on the Sunday 29 June to establish their seeding for the competition day a week later on Sunday 6 July.